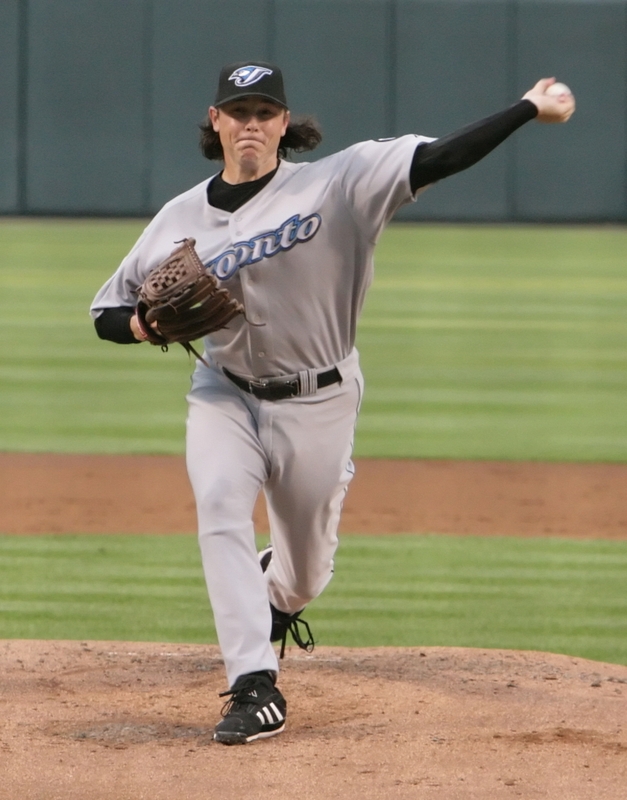 Jordan Bastian of MLB.com profiles former UK right-handed pitcher Scott Downs‘ career turnaround in Toronto, noting the left-handed reliever will likely move to another team as a free agent this offseason. Zack Links of MLBTradeRumors notes the Yankees will look for left-handed relief help this offseason and projects Downs could be a potential acquisition. Former Lexington Legends outfielder Brandon Barnes was 3-5 with a home run, triple, two runs scored and six RBI for the Peoria Javelinas of the Arizona Fall League. Former Morehead St. right-handed pitcher Henry Mabee pitched a scoreless inning for the Peoria Saguaros of the AFL. Lexington Catholic alum Ben Revere was 1-4 in the game. 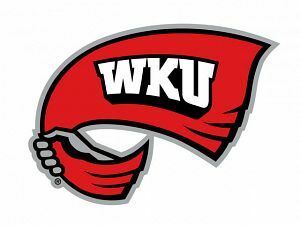 Western Kentucky University‘s media relations department recaps the baseball Hilltoppers’ support of the local Humane Society. Conor Glassey of Baseball America recaps the action from the World Wood Bat Championship, highlighting performances from Lexington Catholic High School right-handed pitcher Tyler Arthur and St. X right-handed pitcher Matt Spalding. Mark Polishuk of MLBTradeRumors evaluates former Morehead St. right-handed pitcher Jon Rauch‘s free agent stock. On Wednesday former NKU right-handed pitcher Josh Lueke earned his first save for the Peoria Javelinas of the Arizona Fall League. Former Lexington Legend right-handed pitcher Kyle Greenwalt pitched four scoreless innings for the win. On Thursday Lexington Catholic alum Ben Revere was 3-6 with three RBI, two runs scored and a stolen base for the Peoria Saguaros of the AFL. Former UofL right-handed pitcher B. J. Rosenberg took the loss after surrendering four runs in one inning for the Mesa Solar Sox of the AFL. Morehead State University sophomore right-handed pitcher Cody Gibson struck out 10 batters in six innings to lead the Gold team to a 2-0 series lead in the Eagles’ fall scrimmage series. 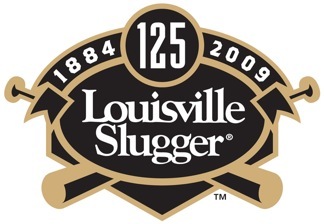 WLKY-TV in Louisville reports as usual Louisville Slugger will play a major role in the World Series. Courier-Journal columnist Rick Bozich looks back on Texas Rangers outfielder Josh Hamilton’s 11-game rehab appearance with the Louisville Bats in 2007. Hamilton isn’t the only person with Kentucky ties participating in the World Series. Former Eastern Kentucky University baseball player Sam Holbrook will serve as an umpire during the series. Brett Dawson of the Courier-Journal reports University of Kentucky outfielder Brian Adams is likely to see an increase in playing time on the football field this weekend at Mississippi State. Nick Craddock of the Kentucky Kernel profiles Adams’ return from a life-threatening medical ailment before he arrived at UK. Adams tells Craddock he plans to continue to play both baseball and football as long as he can. Morehead State University senior right-handed pitcher Trey Smith pitched four scoreless innings to lead the Gold Team to a win in game one of the Eagles’ fall scrimmage series. Lexington Catholic alum Ben Revere was 2-3 with a RBI and two runs scored for the Peoria Saguaros of the Arizona Fall League. Robert Emrich, writing for MiLB.com, named one-time UK outfielder turned second baseman Jason Kipnis to the Cleveland Indians’ MiLB all-star team. Jordan Bastian of MLB.com reports the Cleveland Indians named one-time UK outfielder Jason Kipnis, who transferred to Arizona State, the organization’s minor league player of the year. Kipnis’ cycle in the AAA playoffs for the Columbus Clippers is nominated for the MiLB AAA game of the year award. You can vote here. PRP alum and St. Louis Cardinals’ 2010 first-round pick Zack Cox was 2-5 with a double and two RBI for the Surprise Rafters of the Arizona Fall League. Former UofL right-handed pitcher B. J. Rosenberg pitched a scoreless inning and struck out two for the Mesa Solar Sox of the AFL. Louisville Bats catcher Devin Mesoraco was 2-4 with a run scored for the Peoria Saguaros of the AFL. 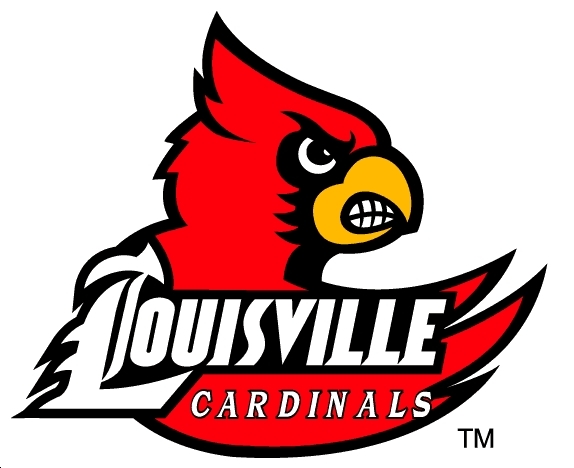 While no Kentucky player will suit up for the World Series beginning tomorrow the San Francisco Giants wouldn’t have made it there without contributions from a variety of players, including Louisville native Todd Wellemeyer, Chris Haft of MLB.com writes. Josh Jackson, writing for MiLB.com, selected Bats catcher Devin Mesoraco, third baseman Juan Francisco, outfielder Dave Sappelt, outfielder Wladimir Balentien and designated hitter Luis Terrero to the Cincinnati Reds’ organizational all-star team. With the elimination of the Philadelphia Phillies by the San Francisco Giants on Saturday night, Kentucky lost its last MLB playoff participant in former UK right-handed pitcher Joe Blanton. I passed this note along on Twitter yesterday, but after waiting nine seasons for his first playoff appearance Lexington native Austin Kearns did not get in a single game for the Yankees during their 2010 playoff run. 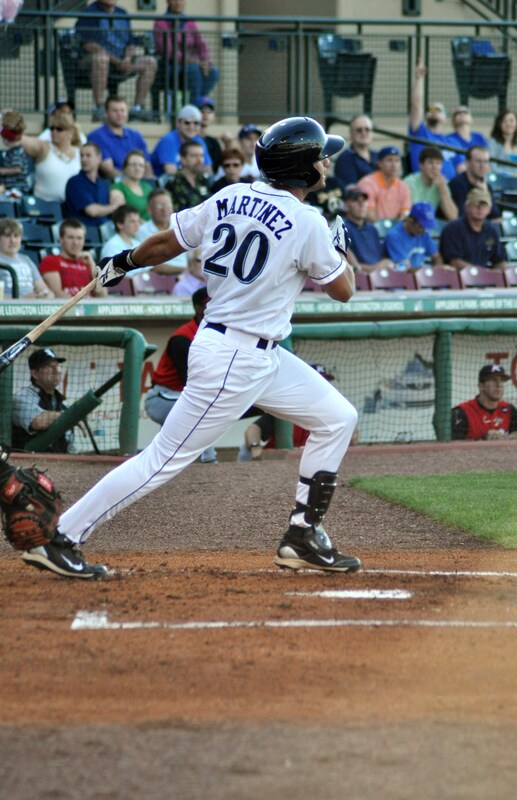 Lexington Legends outfielder J. D. Martinez was voted the best class A hitter by MiLB.com readers. On Saturday PRP alum and St. Louis Cardinals 2010 first-round pick Zack Cox was 1-2 with a double, RBI, walk and run scored for Surprise of the Arizona Fall League. Lexington Catholic alum Ben Revere was 3-4 with a stolen base and run scored for the Peoria Saguaros of the AFL. 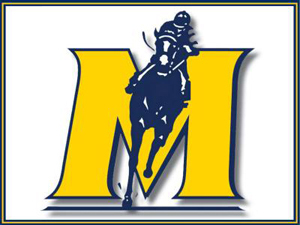 Former Morehead St. right-handed pitcher Henry Mabee recorded a hold with a scoreless inning for the Saguaros. 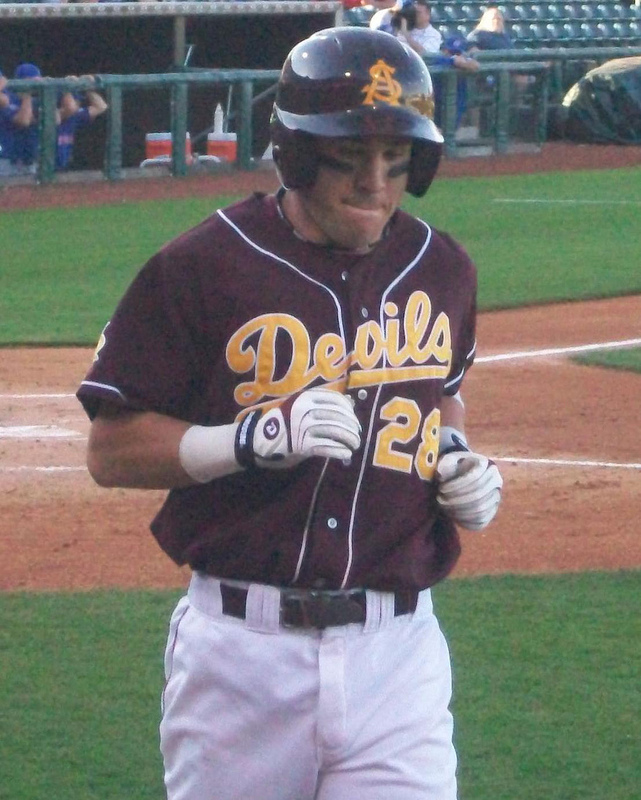 One-time UK outfielder turned second baseman Jason Kipnis homered and drove in two runs for the Peoria Javelinas of the AFL. Former NKU right-handed pitcher Josh Lueke pitched two scoreless innings and struck out one for the Javelinas. 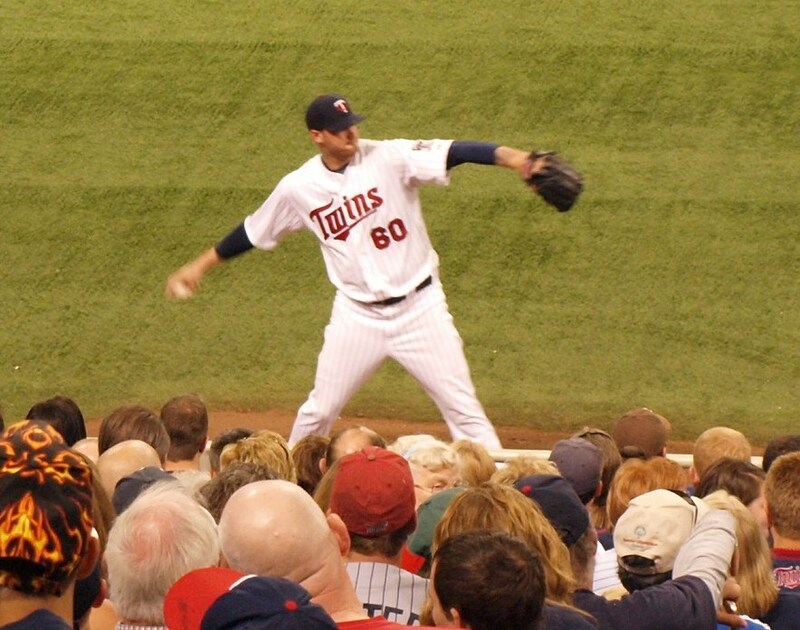 Kelly Thesier of MLB.com reports the Minnesota Twins’ bullpen could look very different in 2011 as the team has a number of free agent relievers, including former Morehead St. right-handed pitcher Jon Rauch. John Manuel ranks PRP alum and St. Louis Cardinals’ first-round pick Zack Cox the best hitter, best power hitter and closest to the majors from the Cardinals’ draft. Jim Callis ranks former UK infielder Chris Bisson the best athlete in the San Diego Padres’ draft and one of the best runners. 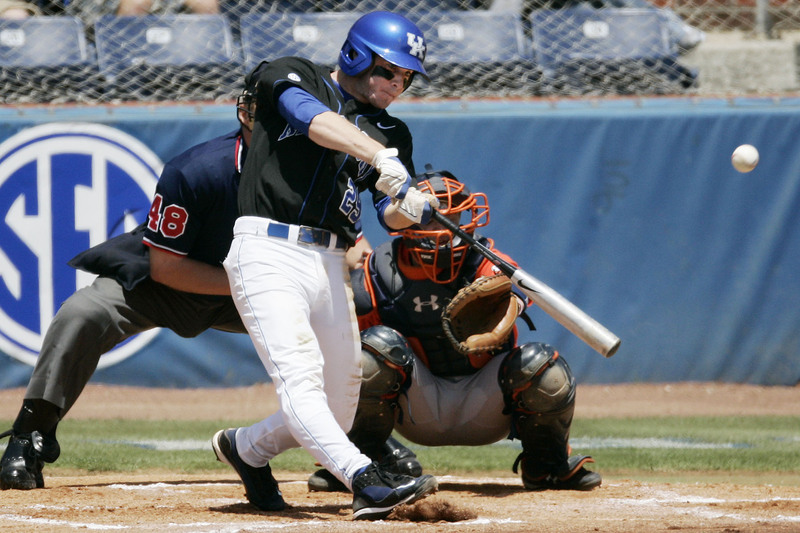 Manuel ranks former UK outfielder Lance Ray one of the three best pure hitters from the Minnesota Twins’ draft. Callis lists Paducah native Jonathan Roof among Texas Rangers’ draftees with the most intriguing background, noting the Roof family’s baseball prominence. Callis mentions former Morehead St. infielder and Mount Sterling native Drew Lee among the Chicago White Sox’s best professional debuts. Manuel lists Campbellsville University non-drafted free agent catcher Richie Rowland in the intriguing background category of the Arizona Diamondbacks’ report card as he teamed with his brother at rookie-level Missoula. Callis mentions Lexington native Jeremy Shelby among the fastest runners and most intriguing backgrounds in the Baltimore Orioles’ draft. 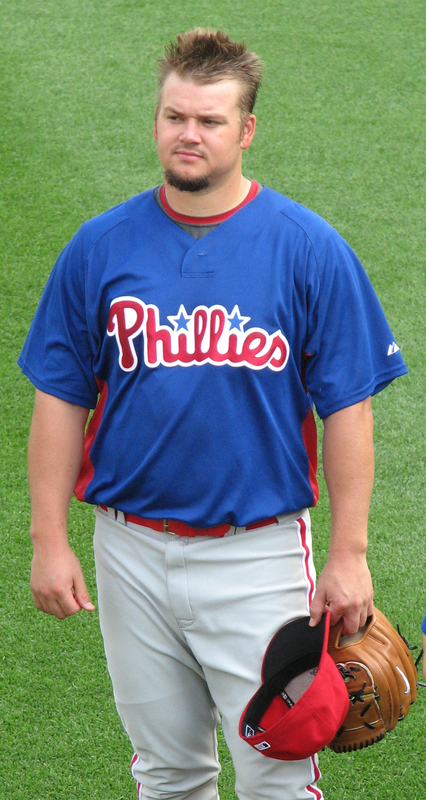 Franklin Simpson High School alum and former UK right-handed pitcher Joe Blanton surrendered three runs in four and two-third innings for the Phillies and was pulled while his team held a 4-3 lead. The Giants rallied against the Phillies’ bullpen and ended up with a 6-5 win. Philadelphia Inquirer columnist Phil Sheridan of the writes Phillies manager Charlie Manuel’s mistake wasn’t “putting his faith in Joe Blanton for Game 4. It was losing faith in Blanton too early. Anthony Castrovince of MLB.com reports Manuel’s quick hook of Blanton added to the NLCS drama. In the ALCS Lexington native Austin Kearns still hasn’t appeared in a game for the New York Yankees, who trail 3-2 in the best-of-seven series to the Texas Rangers.